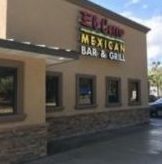 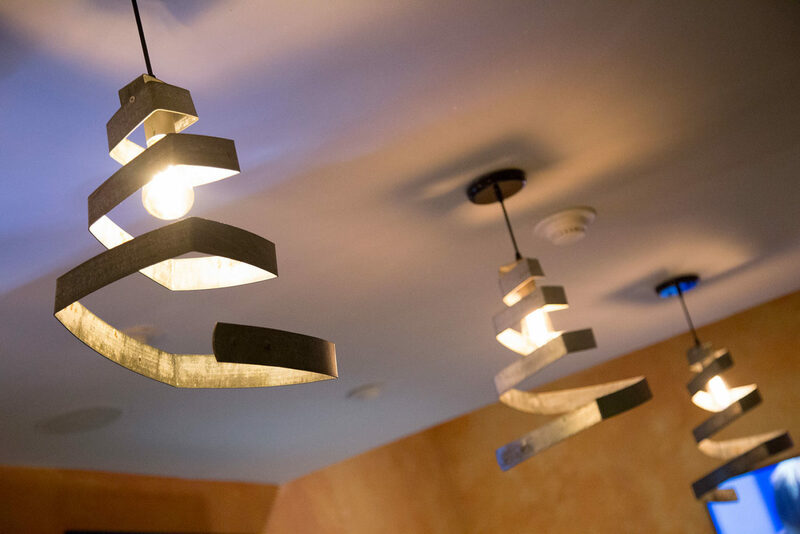 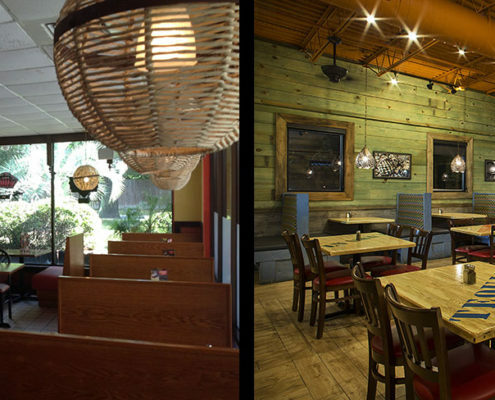 Formerly a Wendy’s franchise, this Georgetown property was in need of a major renovation. 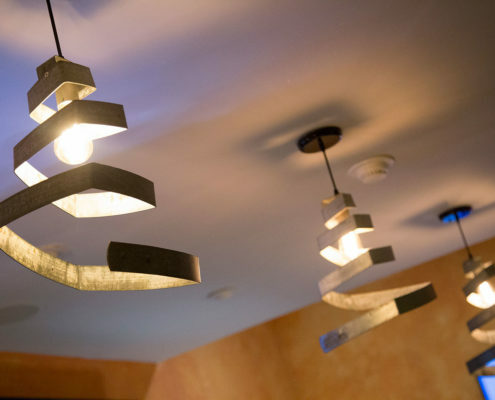 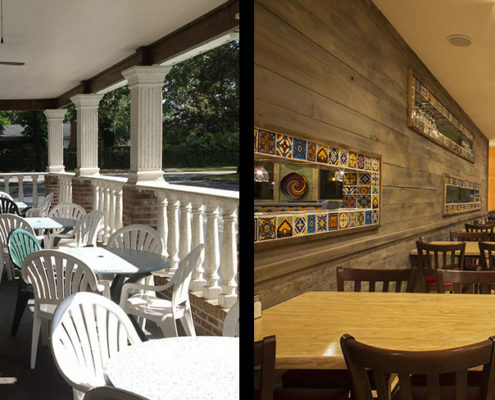 The interior was gutted, the porch was enclosed, and ceilings were exposed for needed height. 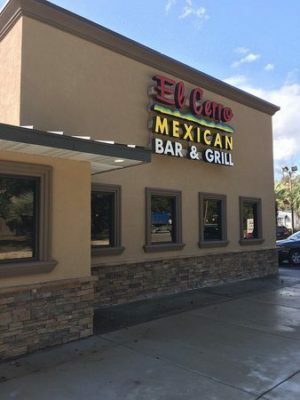 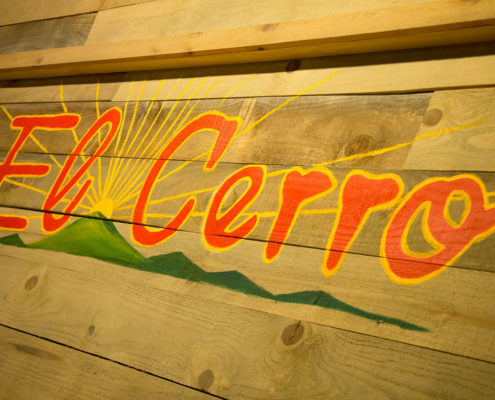 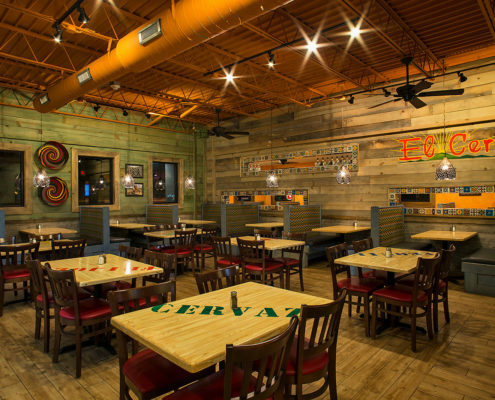 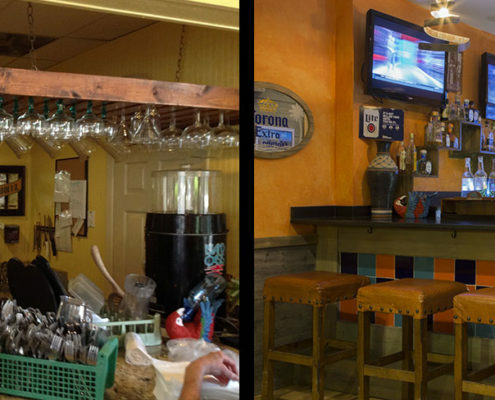 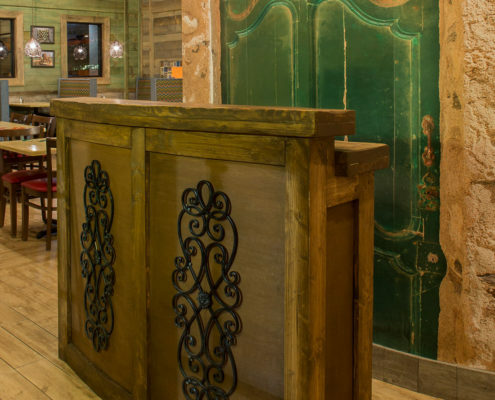 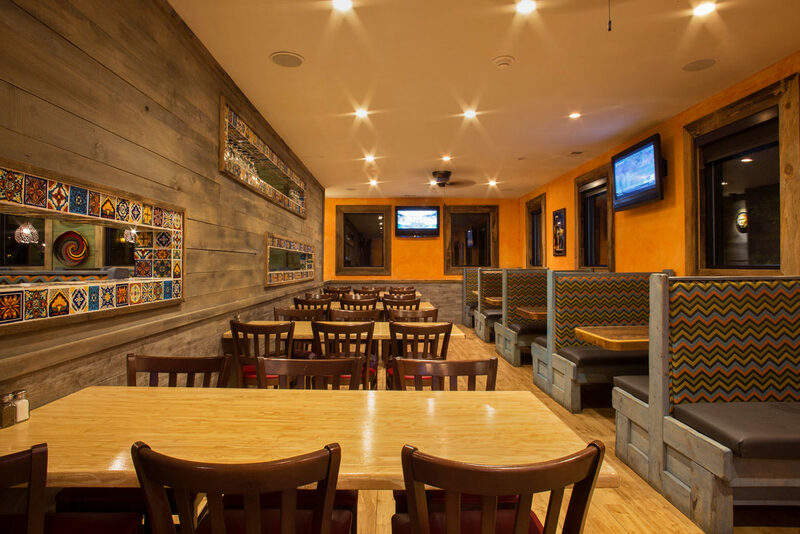 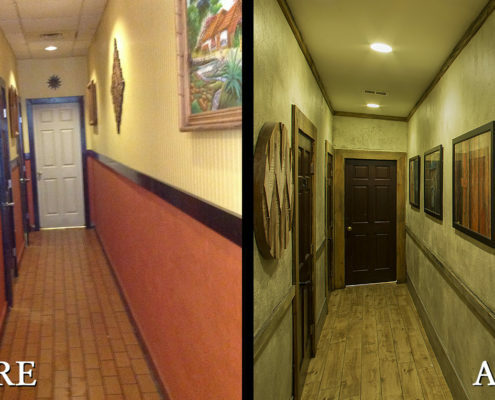 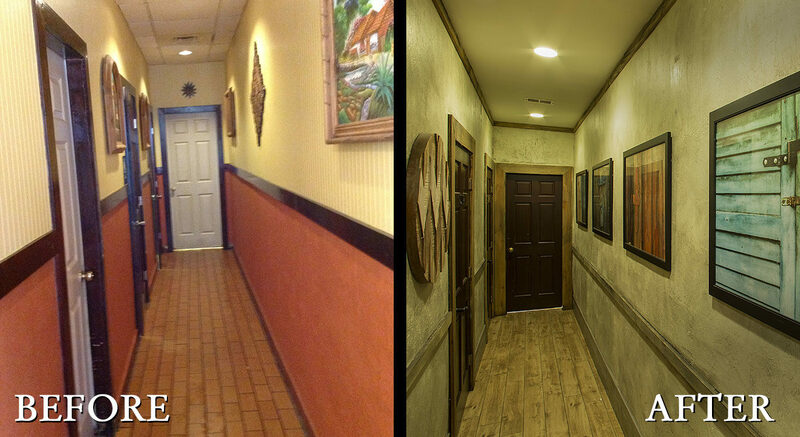 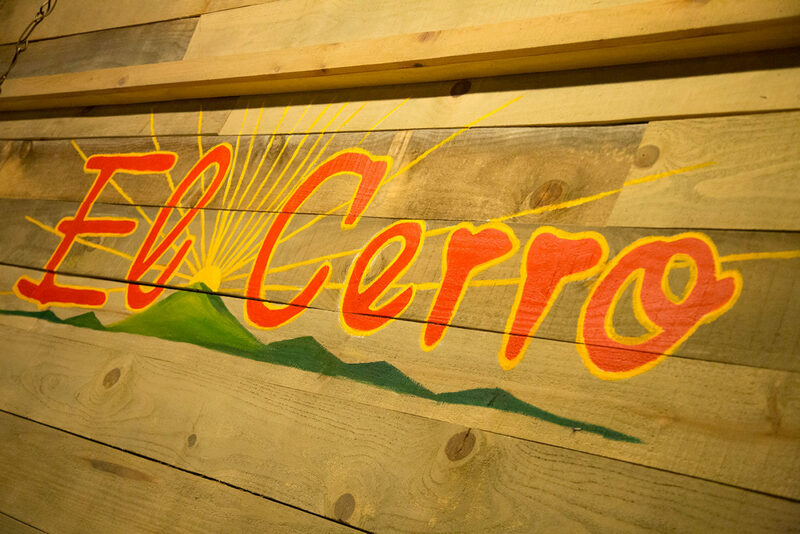 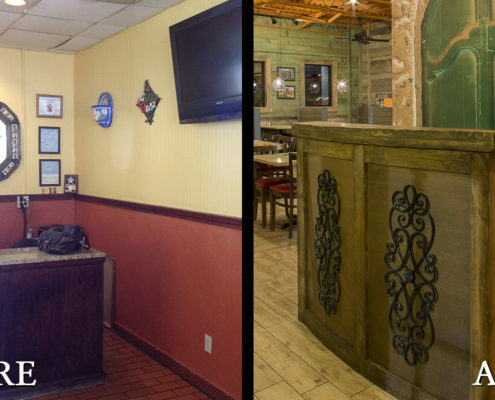 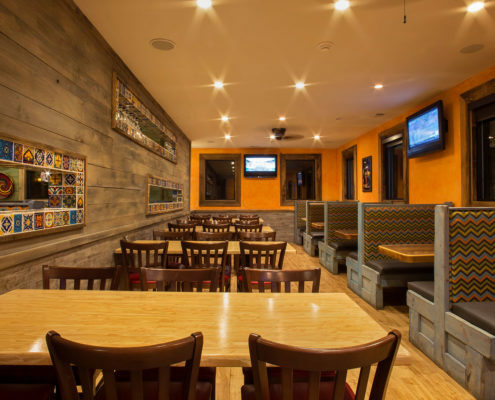 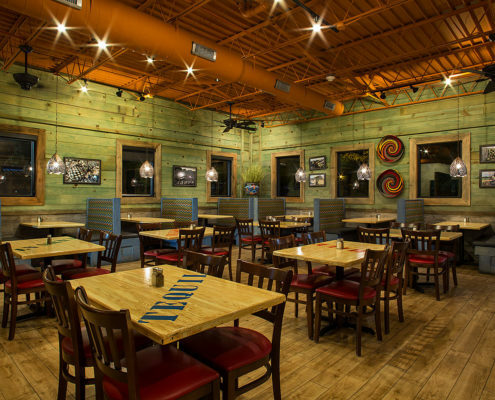 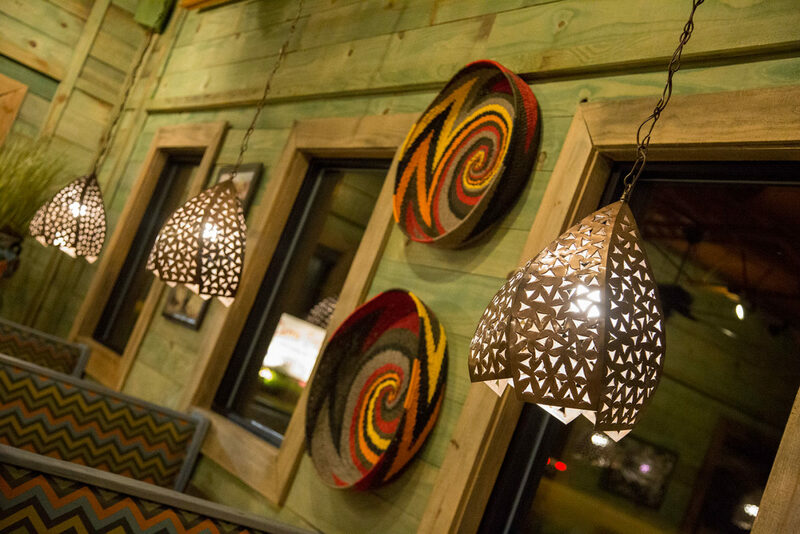 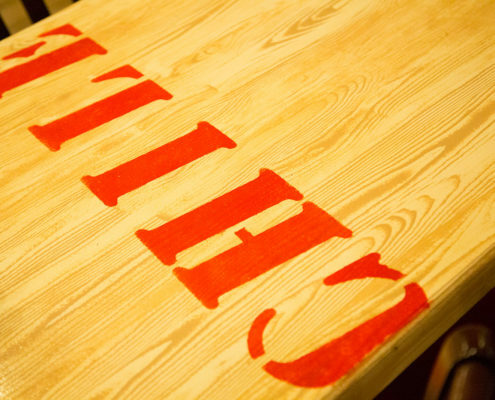 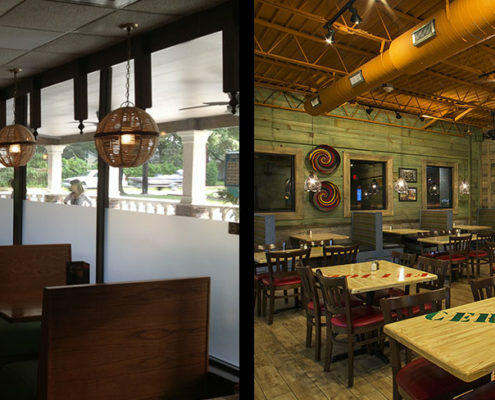 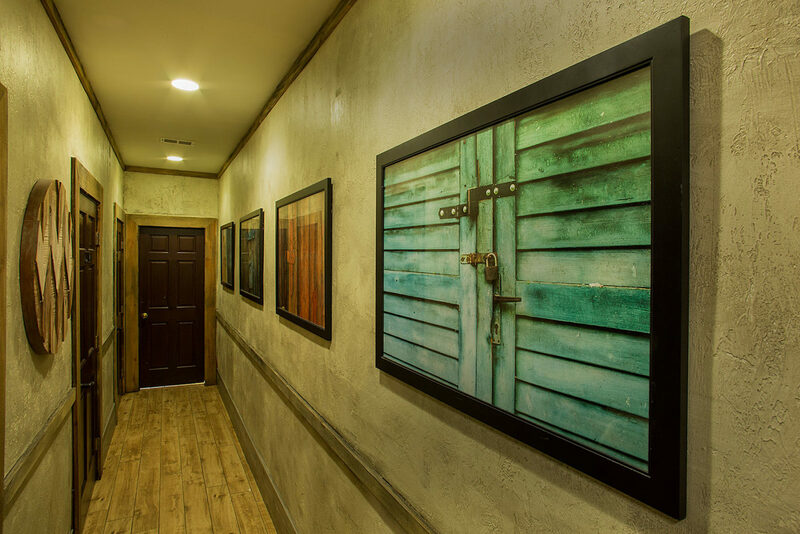 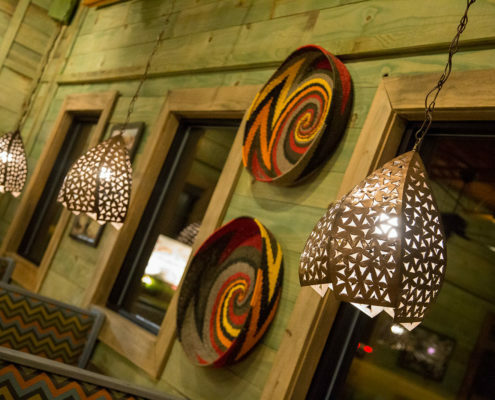 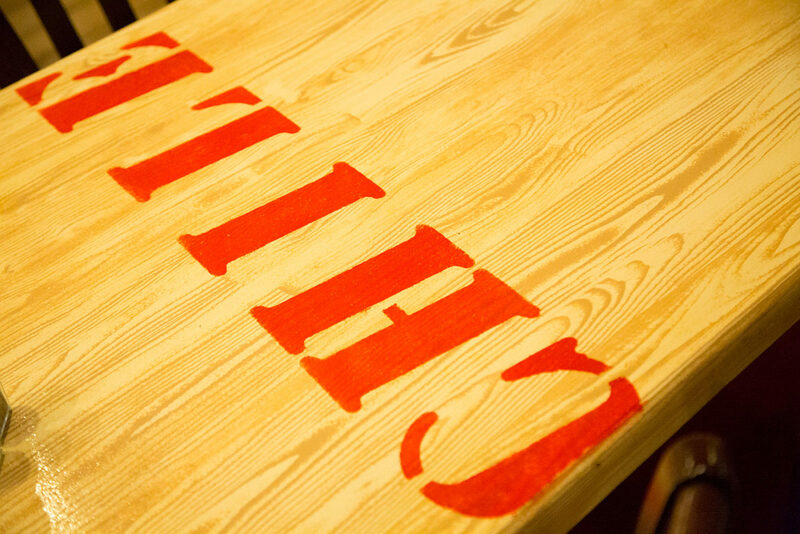 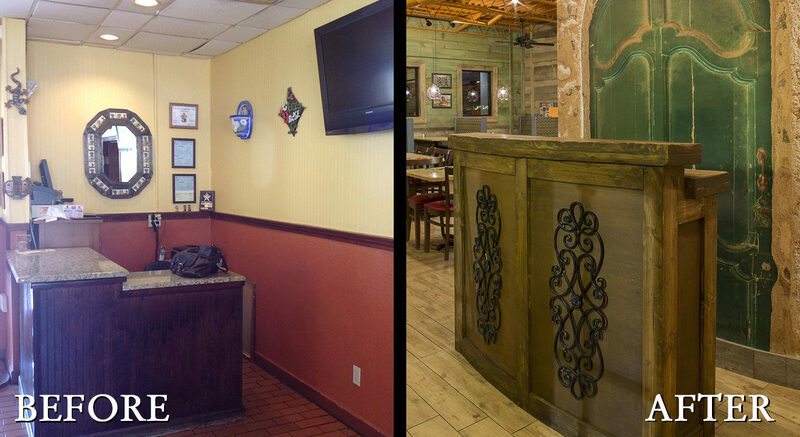 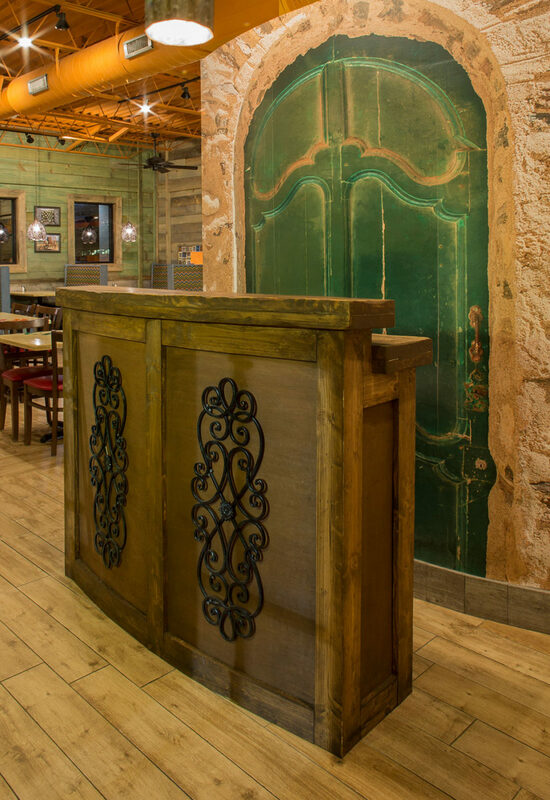 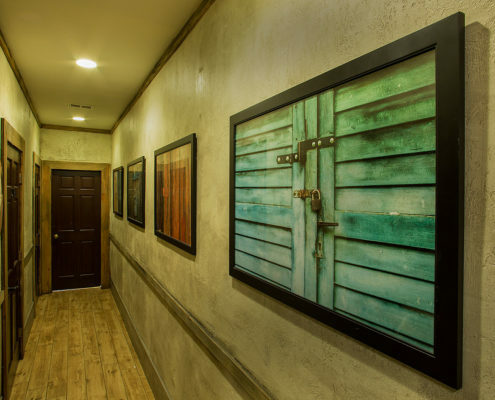 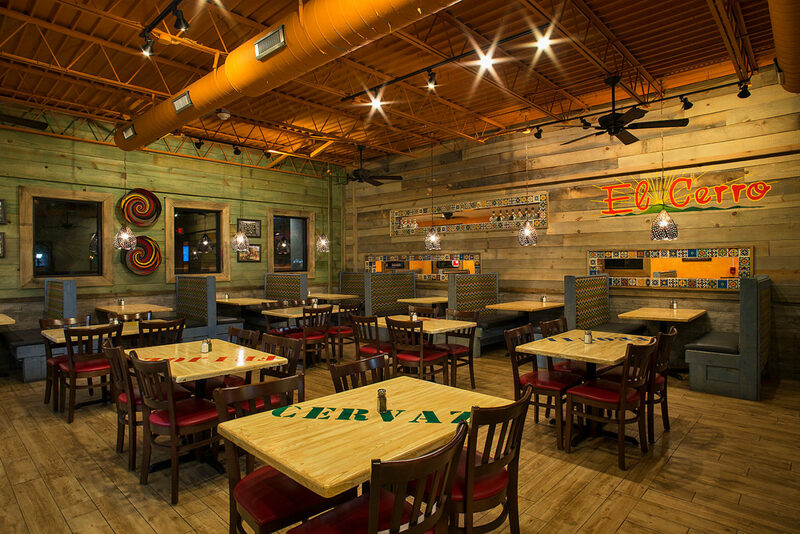 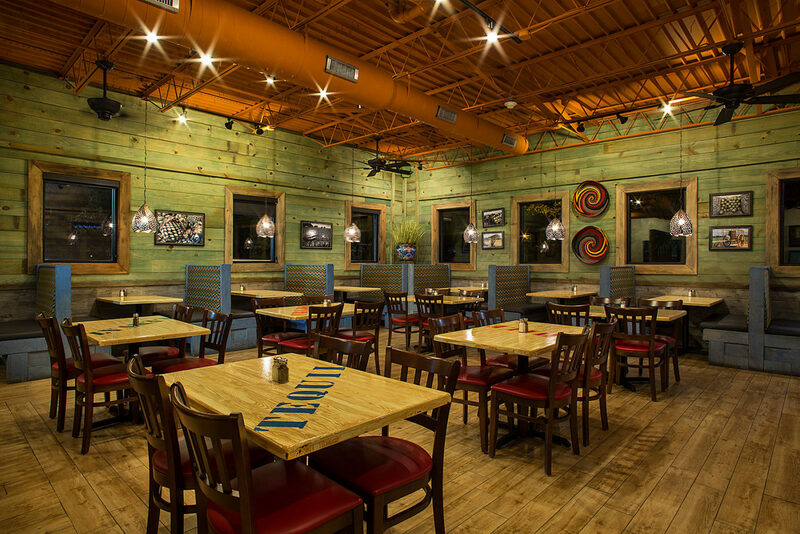 Three dining room walls consist of distressed green wood planks while the focal wall is finished with aged boards with a centralized El Cerro logo. 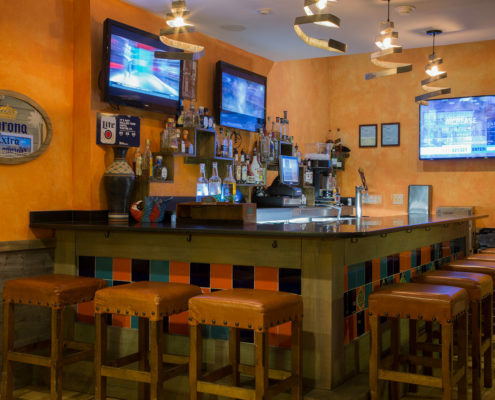 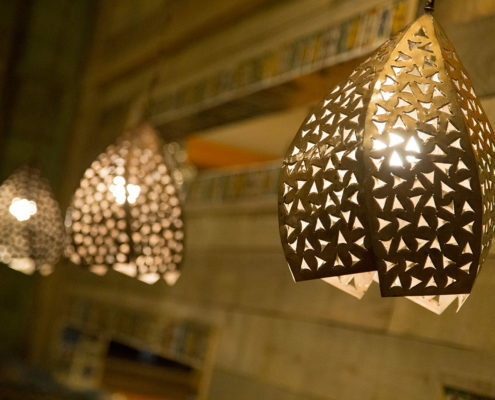 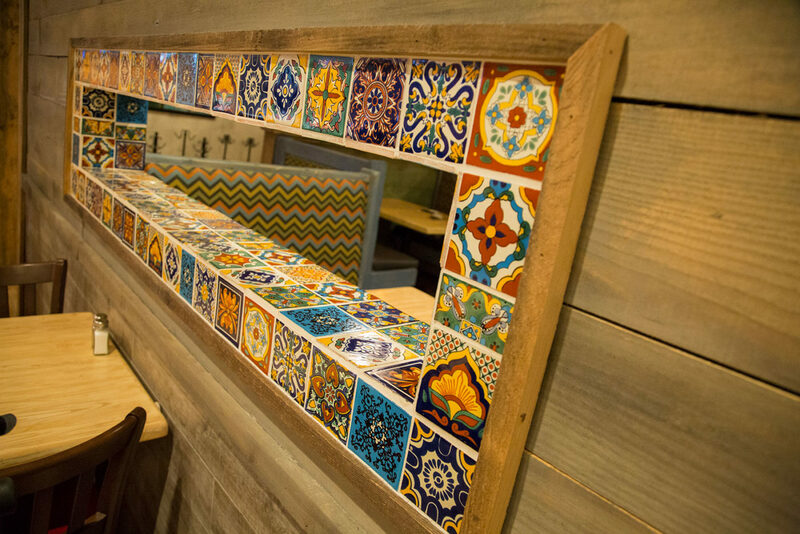 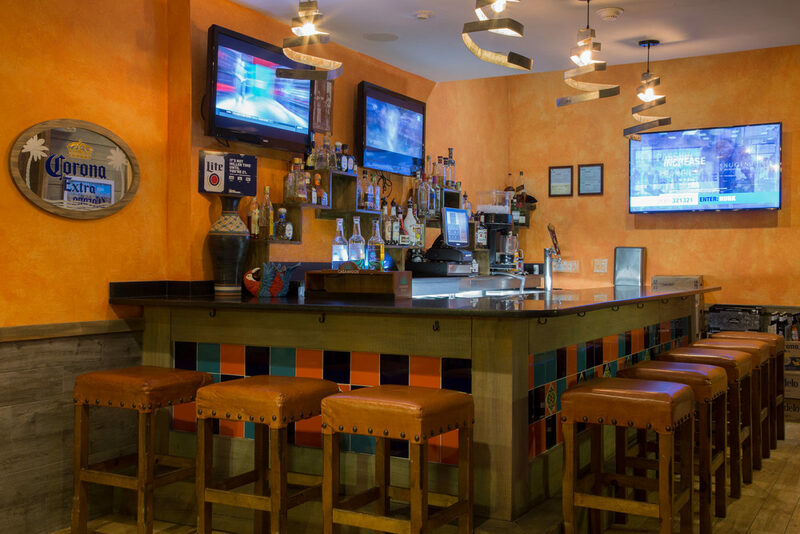 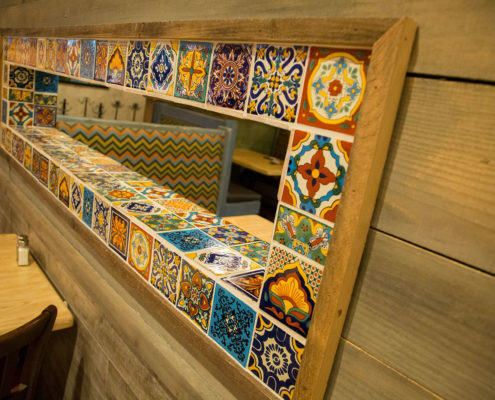 To keep the dining room and bar areas from feeling disconnected, large rectangular openings finished with classic Talavera tile were added between the two spaces. 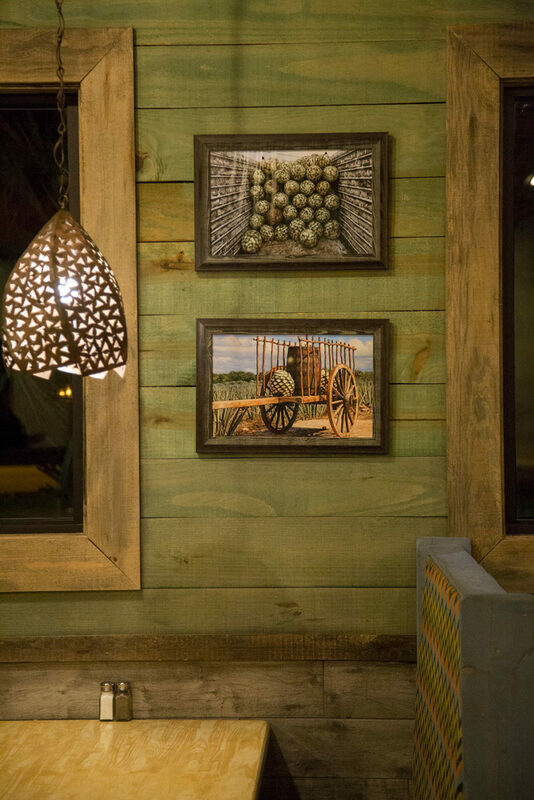 Framed images showcasing the harvesting process of Agave plants were hung over each booth. 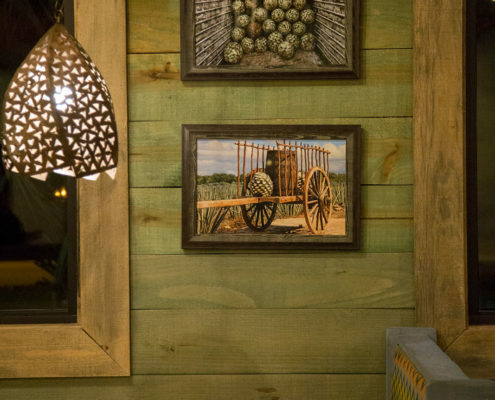 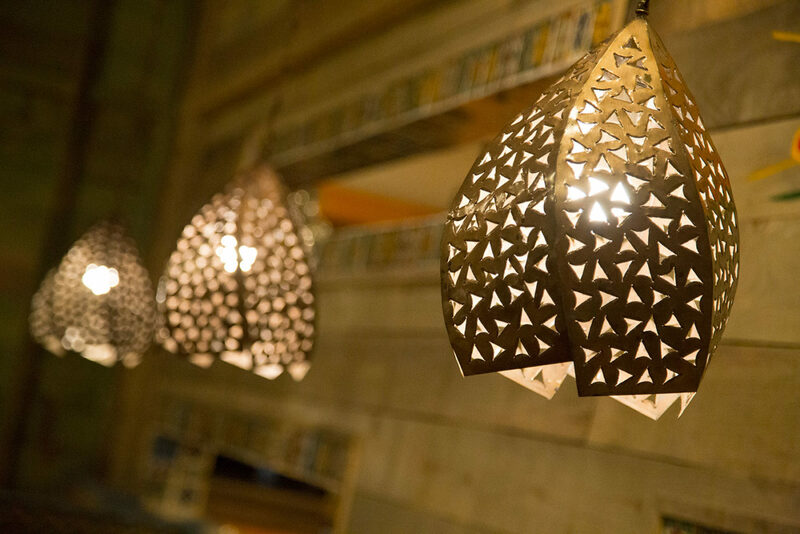 Finally, layers of textured pattern fabrics, baskets, and aged wood boards convey the inviting atmosphere of this Georgetown hotspot.